After the size and expense of 'The Rather Large Towton Project', Ruarigh and I decided the next project should be something smaller, cheaper and easier to transport. Thus the rather small skirmish project was started. 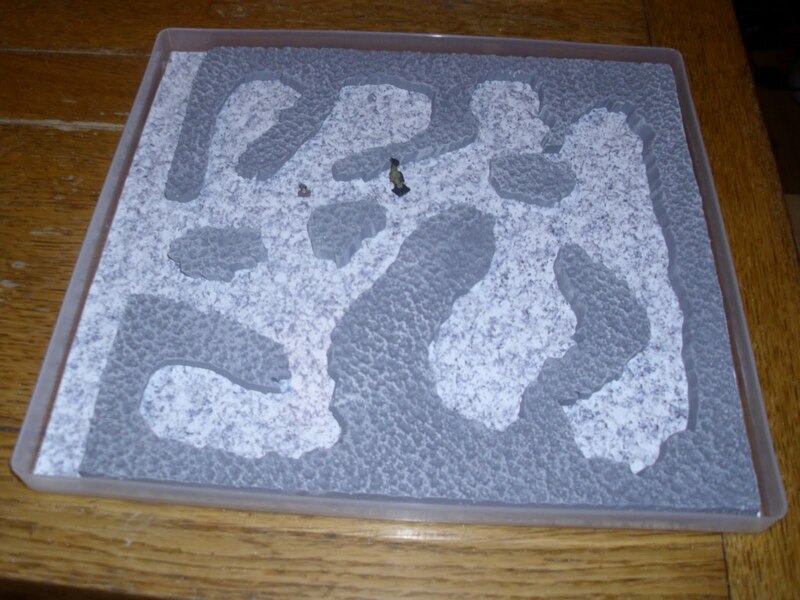 These will be 6mm skirmish games, with all the peices needed being in a small box. This is the first box. It is a 300mm x 300mm box with a thin steel sheet glued to the bottom. 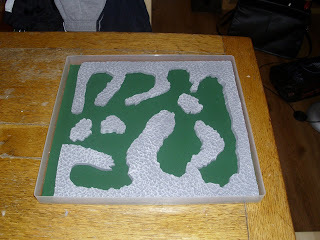 This is then covered with a decorative sheet. 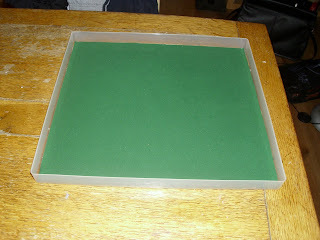 In the bottom I've used a granite effect (above) and in the top a green velor (below). I'm currently looking at using the Broadsword Adventure rules. Hopefully by The Baccus games day it should be ready to game on, with more terrain made and figures painted. I'm hoping to have 3 different scenarios which can be played on the day. 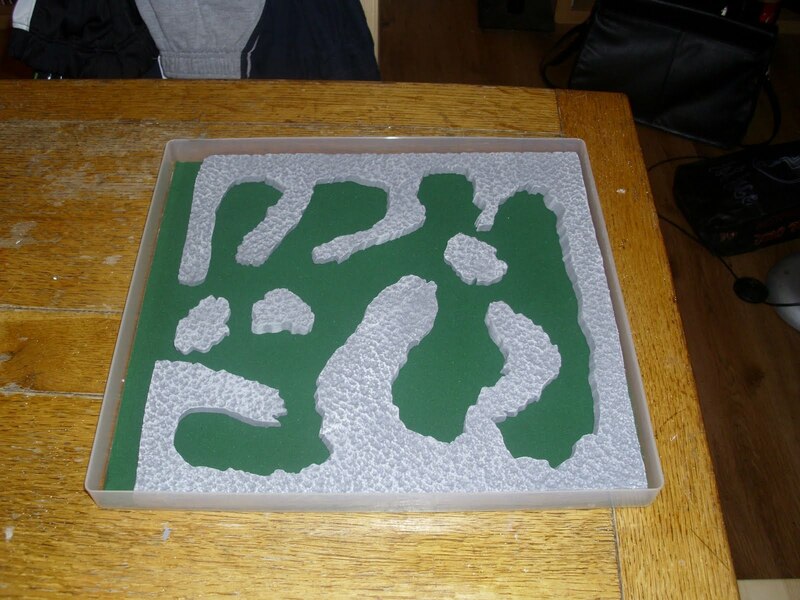 Just to show the terrain is movable here it is on the 'grass' board.